ApCal Owner Darren Schmall. Farm Bureau members since 1990. ApCal is a regional wine tasting room and events center. We do not make any wine ourselves – rather we sell the best wines from winemakers in the Central San Joaquin Valley. Since our wine in not our “brand”, we have chosen our brand to be “the ApCal Experience”. People come back to ApCal because they have a good time here. Our staff is friendly and fun, our concerts are relaxing and fun and our wines are delicious and fun! ApCal is all about FUN – wine is the souvenir that you take home from the party. Our primary product is wine – all LOCALLY grown or produced in the Central San Joaquin Valley. In addition, we sell nuts, dried fruits, honey, oils, jelly, olives, meats, cheese, biscotti, etc. – all LOCALLY produced. Also, we sell a wide variety of wine related gifts and custom gift baskets. We sell numerous Madera County wines and products. We are a destination venue for concerts, weddings, charity fundraisers, class reunions, etc. Our Fruit Stand features Fresno-Madera County produce. Our products are for anyone over 21 yrs. of age. We offer a variety of Holiday sales throughout the year. 10% on case purchase every day. Our Wine Club offers members a 20% discount on ALL wine purchases. Our goal is to highlight Madera County products. We hope that ALL growers or added-value product producers will stop by and show us their products. We want to showcase all the great products produced in Madera County. 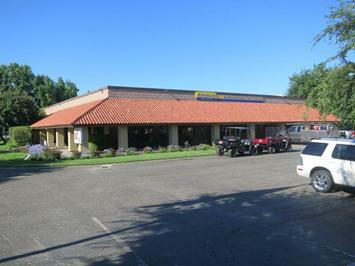 We hope that Madera residents see ApCal as a “One-Stop Shop” for local products. In addition, we hope locals come out and enjoy the beautiful venue that we have created and enjoy the LIVE entertainment that we provide. We would like ApCal to become the “Casa de Fruta” of Hwy 99. We have wine tasting, a fruit stand, retail, entertainment, etc. I hope to combine my Agri-tourism attractions such as the Pizza Farm, Corn Maze, Pumpkin Patch, Raisin Hell Ranch Haunted Cornfield, u-pick fruit and veggies, animal farm, Christmas Trees, Energy Farm, etc. over the next few years. We want to expand our attractions, products and services as our business grows in the future. We think ApCal can become a tourist destination for Madera County. Millennial’s and Hispanics are the fastest growing segments of new wine consumers. We have chosen a wide variety of wines to cater to their tastes. By creating events at ApCal, we encourage new customers to come see our venue and taste our wines. Our Fruit Stand has been a great way to draw more customers off Hwy 99. Social Media has become our main vehicle for advertising. We embrace the technology of the day and try to keep up on the best and most current ways to stay connected to our customers. The Madera County Farm Bureau has always been supportive of my Agri-tourism and Ag Education projects. Knowing that I have the support of my peers offers great confidence when establishing a new business. It is truly an honor to have many prominent Madera County Farm Bureau members support my work.